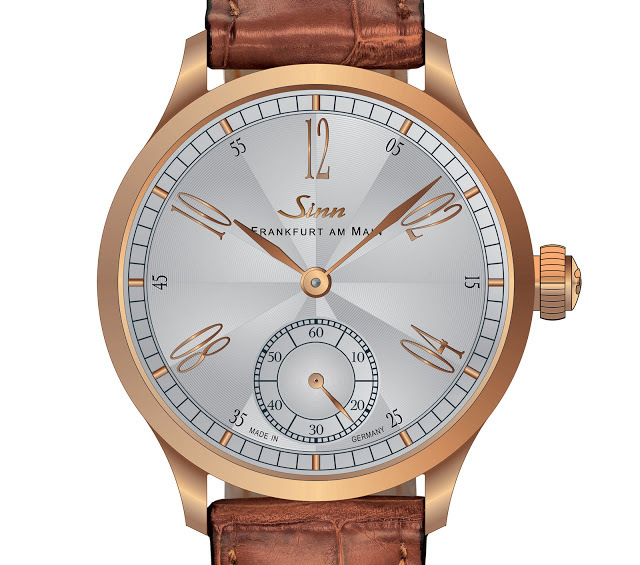 Meisterbund means alliance of masters, referring to the specialists that teamed up to create the Sinn Model 6200 Meisterbund I. Sinn designed the watch and made the dial, while the case was made by Sächsische Uhrentechnologie GmbH Glashütte (SUG). And Uhren-Werke-Dresden (UWD) was responsible for the movement. Consequently, all the key components of the Meisterbund I wristwatch – namely the case, dial, movement and hairspring – are made in Germany. Frankfurt-based Sinn is best known for its tool watches created for pilots and divers, with many of its watchcases already made by SUG. Sinn’s owner, Lothar Schmidt, is a shareholder in SUG, which supplies submarine steel cases to Sinn, and also precious metal cases to Lange. In fact, SUG is located in Glashütte, just a stone’s throw away from the main Lange building. The Meisterbund I has a 40mm rose gold case, with a hand-wound calibre from UWD inside. 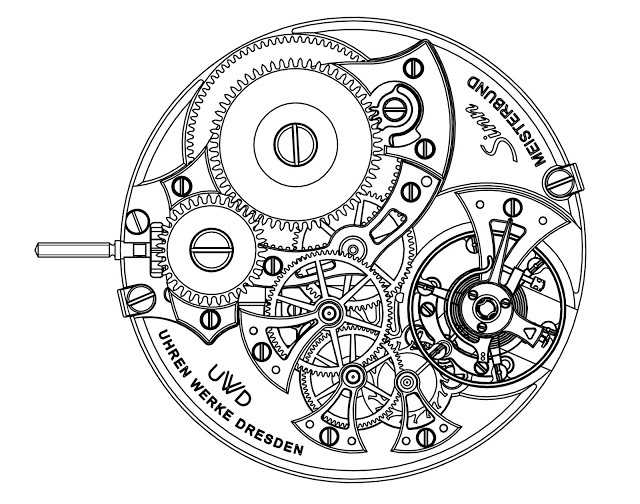 A maker of movements and components, UWD is the sister company of Lang & Heyne, with both part of Tempus Arte Group, a small German agglomeration of watchmaking firms. Like Lang & Heyne, UWD is based in Dresden. Seemingly based on the hand-wound Unitas 6498, the UWD movement is hand-wound with a 55 hour power reserve. It has an adjustable mass balance and partially open-worked bridges. 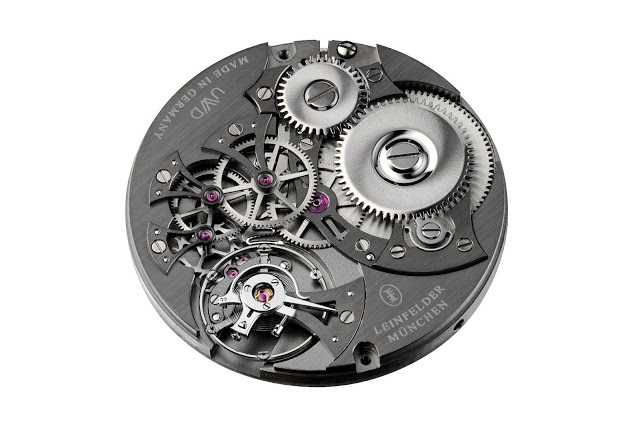 The same movement is used in the Elysium, made by Leinfelder, a Munich-based brand that is also part of Tempus Arte. The Meisterbund I is a limited edition of 55 pieces, available in spring 2016. Pricing will be announced then, but with the similar Leinfelder Elysium priced at approximately €16,000, expect this to be in the same range.